With Yemen sliding towards an all-out civil war and Houthi rebels continuing their advance towards Aden, Yemeni President Hadi has placed an official request for assistance with the Gulf Cooperation Council. The appeal exemplifies how desperate the situation is for Hadi. Without outside military assistance in the coming days, Yemen could be irrevocably destabilized. This would be a disaster not only for Yemen and its citizens, but for the entire Arabian Peninsula and even the United States. The only nation that benefits from the situation is Iran. 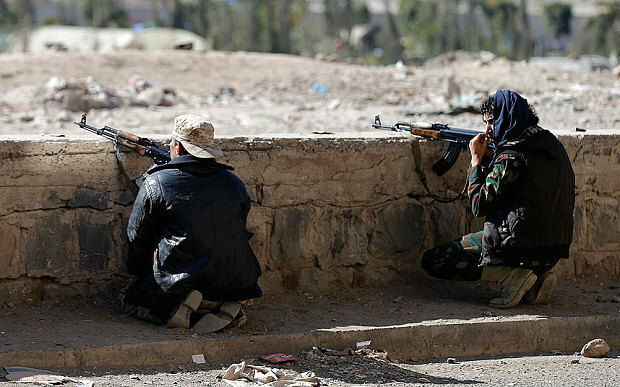 And no matter what the final outcome is, Al Qaeda will maintain its presence in Yemen. The last week has been a period of intense activity regarding Yemen. On Sunday, the United Nations special envoy to Yemen reported to the Security Council that the country is on the verge of civil war. Talks between the feuding parties are now scheduled to begin in Doha soon. The UN is brokering the talks. Meanwhile, in Riyadh, the Saudis appear to be laying the foundation for future military action in Yemen aimed at supporting the Hadi government and preserving the ‘sovereignty of Yemen.’ In other words, the Saudis are preparing to do whatever is necessary to minimize Iran’s influence in Yemen. Yes, this is technically meddling in the internal affairs of another country. However, the stakes are very high for Saudi Arabia and Iran has already intruded on Yemeni sovereignty by instigating a proxy war.